Do you cry often? I find that very few things actually bring me to tears. It isn’t that I have a heart of stone or am completely uncaring, it is just that crying is honestly not a usual behavior for me. I think it’s how I’m wired. There are a few things, however, that evoke an unusual emotion from me. In response to these topics, my threshold for tears is often pretty short. My family – reflecting on how God has been faithful to provide for my grandparents/parents/BJ and I over the years, sharing the struggles of my teenage children, or doing my best to turn the other cheek when someone has wronged the ones I love will bring me to tears almost every time. 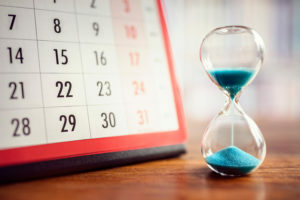 Perpetual frustration – when someone or something frustrates me time, after time, after time, I will sometimes hit a point where I’ve just had enough. One small, relatively benign, encounter might push me over the edge and leave me in tears. The saving grace of Jesus Christ – listening to testimonies of people who’ve reached the end of their rope, have finally laid their burdens at the cross of Jesus Christ, and accepted him as Savior and Lord also stirs my heart. It isn’t uncommon for me to get choked up on baptism Sunday. Our text today has us in the book of Lamentations, often called the book of tears. Jeremiah wrote this dirge to mourn the fallen city of Jerusalem. God warned his people that he would bring destruction if they abandoned him. It wasn’t until after the Babylonians had destroyed the temple, overthrown the king, and sent them into exile, did God’s people realize their situation and confess their sin. Jeremiah was moved to tears because of his love for God and his people. Fortunately, our assigned reading for today is Lamentations chapter 3. Midway through the chapter, the song turns from suffering and sorrow to hope. Although God temporarily turned away from his people because of their sin, he was still their hope for restoration. But this I call to mind, and therefore I have hope: The steadfast love of the Lord never ceases; his mercies never come to an end; they are new every morning; great is your faithfulness. “The Lord is my portion,” says my soul, “therefore I will hope in him” (Lamentations 3:21-24). So I ask you again, what makes you cry? Like Jeremiah, is your hope truly in the Lord? I don’t know about you, but it seems like I’m reminded of my inadequacies almost daily. Thankfully, I have a new opportunity to put my trust and hope in the Lord EVERY SINGLE DAY. God does not give up on me. He is still my only hope for restoration. Thank you Lord for being faithful, for loving me, and for giving me new mercies every day. Our text today picks up with Hezekiah sitting on the throne in Judah. Unlike his father, King Ahaz, Hezekiah was committed to following God’s law. During the first year of his reign, he cleansed/repaired the temple, restored the priesthood and re-instituted temple worship (see 2 Chronicles 29). 2 Chronicles 30 is the story of how Hezekiah resumed the tradition of inviting the scattered tribes of Israel to make the pilgrimage to Jerusalem and celebrate the Passover festival together. Do the right thing for the right reason, even in the face of challenges. Cleansing and restoring the temple after many years of neglect was no small task. Hezekiah persisted. To reinstitute temple worship, it took more sacrifices than the priests could handle (70 bulls, 100 rams, 200 lambs, 600 bulls, 3,000 sheep in the first week; then 1,000 bulls, 7,000 sheep, 1,000 bulls, 10,000 sheep in the second week). Hezekiah persisted. Men of Ephraim, Manasseh and Zebulun mocked the King’s messengers who urged them to make the pilgrimage to Jerusalem. Hezekiah persisted. God’s grace will cover our imperfections if our hearts are right. 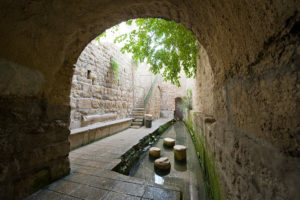 Many of the people who did come to Jerusalem hadn’t consecrated themselves, as required by the law. The Levites sacrificed the Passover lamb for everyone who was unclean. The majority of people from Ephraim, Manasseh, Issachar and Zebulun had not cleansed themselves, but ate the Passover meal anyway. Hezekiah prayed that the Lord would pardon those who set their hearts on seeking God, even though they had not kept the Law. The Lord heard Hezekiah and healed the people (2 Chronicles 20). Serving the Lord will lead to joy. After restoring the temple, Hezekiah commanded the Levites to sing praises to the Lord. They sang praises with gladness and bowed down and worshiped (2 Chronicles 29:30). After the sacrifices were made and the service of the house of the Lord restored, Hezekiah and all the people rejoiced because God had provided (2 Chronicles 29:36). After celebrating the Feast of Unleavened Bread for seven days, the whole assembly agreed to keep it going for another seven days with gladness (2 Chronicles 30:23). There was great joy in Jerusalem, for since the time of Solomon there had been nothing like this in Jerusalem (2 Chronicles 30:26). This is what Hezekiah did throughout Judah, doing what was good and right and faithful before the Lord his God. In everything that he undertook in the service of God’s temple and in obedience to the law and the commands, he sought his God and worked wholeheartedly. And so he prospered (2 Chronicles 31:20-21). As the great (to the 16th power) grandfather of Jesus, Hezekiah is an example worth following. Hezekiah the father of Manasseh…and Jacob the father of Joseph, the husband of Mary, and Mary was the mother of Jesus who is called the Messiah (Matthew 1:10,16). The book of Ecclesiastes is a book of practical wisdom written by King Solomon late in his life. Do you remember in 2 Chronicles 1 when Solomon asked God for wisdom? Even though God granted his desire, Solomon often failed to act upon his own advice and made many unwise and sinful choices. By the time he wrote Ecclesiastes, however, Solomon had gotten to a point where he was able to reflect over his life’s journey with a sense of humility and repentance. If I had to sum up the main point of Ecclesiastes in one sentence it would be – apart from God, EVERYTHING in life is empty, hollow, and meaningless. Do you believe this? I “believe” it because the Bible says it is true, however, I’m not sure my actions always support my stated belief. As I studied Ecclesiastes 3 this week, God put a few lessons I needed to hear on my heart. Will you review a few of them with me? God established order. From the moment we were born until the moment we pass from this earth, God is accomplishing his divine purpose in our lives. There is a time for everything, a season for ever activity under heaven (Ecclesiastes 3:1). Time matters to God. Time is often called the currency of life. Once it has passed, it can never be regained again. Thus, we should spend our time on things that matter, things that glorify God. 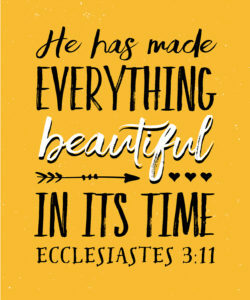 He has made everything beautiful in its time (Ecclesiastes 3:11a). We can never be completely satisfied with earthly pleasures or pursuits. Because we are created in the image of God, he is the only who can bring us complete satisfaction. He has also set eternity in the human heart; yet no one can fathom what God has done from beginning to end (Ecclesiastes 3:11b). Ecclesiastes 3 reminds us there are many things are outside our control. Even so, we can choose our own conduct, form our own character and decided whether we will follow Jesus Christ or not. Everything matters to God. Choose wisely. I said to myself, “God will bring into judgment both the righteous and the wicked, for there will be a time for every activity, a time to judge every deed” (Ecclesiastes 3:17). Our text for today in 1 Chronicles 17 opens with King David sitting on the throne. David had conquered the city of Jerusalem (with God’s help), and was setting it up as a home for God’s people. After moving into a newly constructed palace, David turned his mind toward building a permanent house (temple) for God. Even though God hadn’t asked for a temple, why did this seem like something David should do? Let’s go back to Shelly’s post from 2 Samuel 6 yesterday. At this point in history, God’s dwelling place was still the Ark of the Covenant. Yesterday Shelly told us about the tumultuous journey David endured as he led his army in bringing back the Ark from the Philistines. Even though it was back with God’s people, keep in mind that the Ark, the holy presence of God, was still dwelling in a tent (2 Samuel 6:17). David knew God deserved better than a tent. His motive for wanting to build the temple was God-honoring. However, through the prophet Nathan God let David know he did not approve of his construction plan. While God certainly intended to have a temple built, he was clear that David was NOT going to be the one to build it. (See 1 Chronicles 28:3 for why.) Instead, his son Solomon would be appointed King when David died and would be in charge of building God’s temple. When your days are over and you go to be with your ancestors, I will raise up your offspring to succeed you, one of your own sons, and I will establish his kingdom. He is the one who will build a house for me, and I will establish his throne forever. I will be his father, and he will be my son. I will never take my love away from him, as I took it away from your predecessor. I will set him over my house and my kingdom forever; his throne will be established forever (1 Chronicles 17:11-14). Many years earlier God called David, a lowly shepherd boy, to be King of Israel. He made him a great warrior and delivered David and his army to countless victories over his enemies. Until now, David had been the man, God’s chosen one for everything. 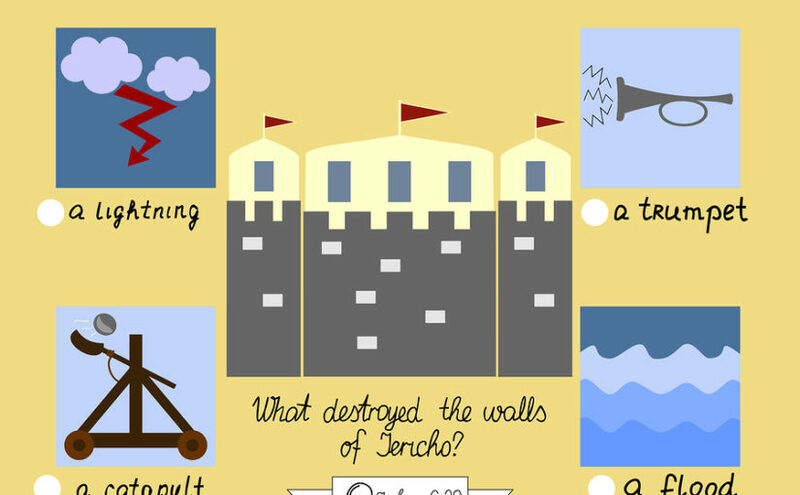 When God thwarted his plan for the temple, do you think it stung a little bit? Do you think it caused David to doubt his leadership abilities or his favor with God? Was he confronted with his own mortality in a way he had never been before? Do you think he was envious that a “forever” King would be established after he died? How would you have responded in that situation? The second half of 1 Chronicles 17 (verses 16 – 27) outlines David’s response. It had no shred of envy or self-doubt. David humbly praised God, thanked him for the years of blessings he bestowed upon David and his family, and affirmed his commitment to what God said to do. 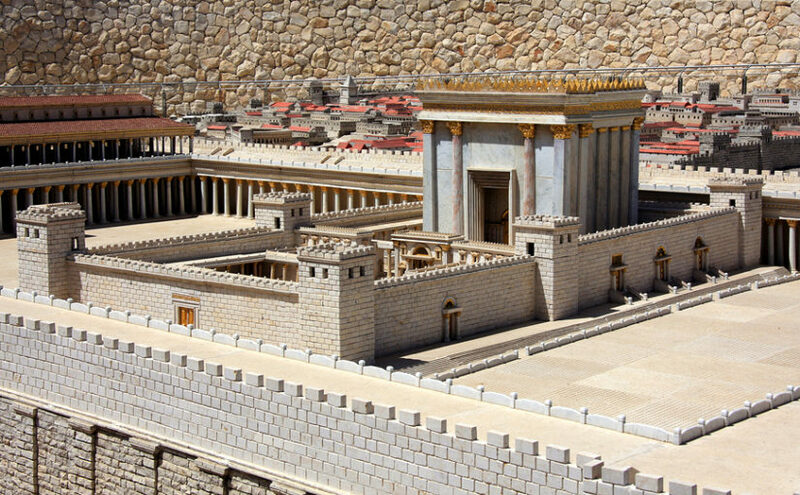 As always, God followed through on his commitment – David’s son Solomon had the honor of building God’s temple. Twenty-seven generations later, Jesus, the long-awaited Messiah, was born into David’s lineage. But the angel said to her, “Do not be afraid, Mary; you have found favor with God. You will conceive and give birth to a son, and you are to call him Jesus. He will be great and will be called the Son of the Most High. The Lord God will give him the throne of his father David, and he will reign over Jacob’s descendants forever; his kingdom will never end” (Luke 1:30-33). The kingdom of Jesus Christ is never ending. He lives in the hearts of those who call him Savior and Lord. Praise his name! On Monday I started a new job. From the very beginning, my previous position hadn’t really been a good fit. While the teams I led delivered great results over the course of my tenure, my leadership style didn’t really mesh. After giving it two and one-half years, I left with a feeling of failure, frustration and hurt. As you’d expect, B.J. wasn’t interested in listening to my pity party. He questioned me on how I was measuring success, and specifically challenged me to consider whether I was measuring the right things. Last Wednesday, after spending time with each of my Managers to let them know I was leaving, I concluded B.J. was right. (That is very painful to admit, believe me!). For two plus years, I drove significant results and left that department in a better place than it was when I got there. More importantly, I positively impacted the lives of the more than eighty people I led and those with whom I worked side by side. How do I know this? They stopped by, they called, and a week later they are still sending me emails to tell me this. By these measures, my tenure in that job was actually a huge success. See when I arrived at the office last Wednesday morning, I had put my car in park and called my Dad. That shouldn’t surprise most of you. He is a wise man who is always ready to give me godly advice. This time, however, I didn’t call for advice. I called for a specific request. I told my Dad the day was going to be hard for me. I asked him if he would please pray me through the day. When I left to go home on Wednesday, I was feeling at peace. I made it through the day because of the prayers my parents said on my behalf. As I was driving, Casting Crowns song Only Jesus came on the radio and convicted me yet again. I was feeling pretty good that my work associates were sad to see me leave, and hoped they would remember me as a great leader who cared about them. But my focus was still on me when it should have been pointing to Jesus. During my time in that position, I can name specific times I pointed people to Jesus. But did I take every opportunity? Did I do enough? Why do I tell you this story? Our scripture today in Joshua 6 has a parallel message. God gave Joshua some strange, specific instructions for fighting the battle of Jericho (Joshua 6:3-5) – March around Jericho one time a day for six days, then march around seven times on day seven, sound the trumpets, shout, and the wall protecting the city will fall down. This sounds like a ludicrous plan for fighting a battle, so why was it the plan God chose? By executing such a crazy battle plan, it would be absolutely clear God was responsible for the victory, not Israel’s weaponry or fighting skill. There is no way Joshua’s army could have won this battle on their own. It was only by the power of God. My challenge for you today is this – What battle are you fighting that you need to turn over to God? Will you trust him to get you through it? He may use strange tactics, but he will be glorified in the end. Our scripture today opens with Moses on the mountaintop receiving the Law from God. He’d been gone from the Israelite camp for 40 days and nights, and his people were wondering where he was. In his absence, they grew impatient (or perhaps just manipulative) and convinced Aaron the high priest to build them a god they could see and touch, much like the gods of their Canaanite contemporaries. Aaron obliged and built them a golden calf to which they bowed and worshipped. God’s anger burned against his people. Honestly, I don’t think about idols very much. Even though we, in 21st century America, don’t routinely build and bow down to idols made of precious metals, there is no doubt we struggle with idolatry. I contend that anything we are we elevating to be more important than God is definitely an idol. Anything, other than the Kingdom of God, in which we are investing our time and money has the potential to be an idol also. Would you consider your job, house, higher education, relationships, vacations, cars, etc, to be idols? As I contemplated each of these examples, I quickly realized they all lead to the exact same place. They are all about glorifying me. My struggle with idolatry is quite simply my tendency to make me and my selfish desires a higher priority than God. 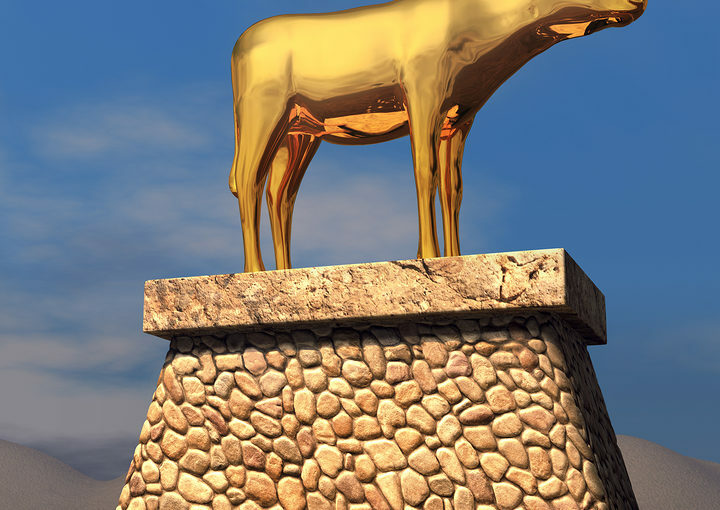 If we are re-defining God to be who we want him to be, are we any different than the Israelites who re-defined God to look like a golden calf? When the woman saw that the fruit of the tree was good for food and pleasing to the eye, and also desirable for gaining wisdom, she took some and ate it. She also gave some to her husband, who was with her, and he ate it. Then the eyes of both of them were opened, and they realized they were naked; so they sewed fig leaves together and made coverings for themselves (Genesis 3:1-7). Satan implied God was selfish and did not want Adam and Eve to share in his knowledge of good and evil. By getting Eve to doubt God’s goodness, he helped her overlook all God had given her and focus on the one thing she couldn’t have. Focusing on what we don’t have, but think we are entitled to have, always tempts us to sin. Satan tried to make Eve think that sin was good, pleasant and desirable. A knowledge of both good and evil seemed harmless to her. We are too are tempted to choose wrong things because we convince ourselves those things are good, at least for us. 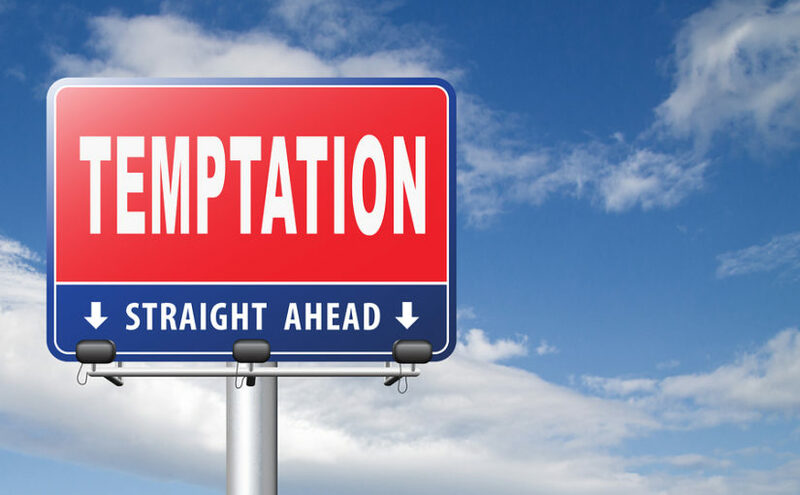 When Adam and Eve gave into temptation, and concluded their way was better than God’s way, they sinned. Do you see what happened next? They became self-conscious and tried to hide from God. When God confronted them, they responded by trying to excuse and defend their behavior. Ugh. This sounds just like me. A sinful life is not the life to which God has called me. I must reverse this course. While not easy, I know categorically choosing the opposite of Adam and Eve will yield a different result – I must become convinced God’s way is better than my way, I must stop hiding from God, and I must drop my excuses and defenses. As we begin 2019, I commit to choosing differently. Knowing I cannot be successful on my own, I will rely on God’s promise of help. It’s that time of year again. Time to reflect on the accomplishments of 2018 (or lack thereof), and time to finalize annual performance ratings for my staff. I am blessed to work with a great team of leaders. Their varied background, experiences and styles have allowed our Department to achieve great things in 2018. Year-end performance ratings, however, are all about differentiating between the performance of each person in order to apportion the biggest compensation awards to the highest performers. The conversation always centers on how each of them measured up against expectations during the year. 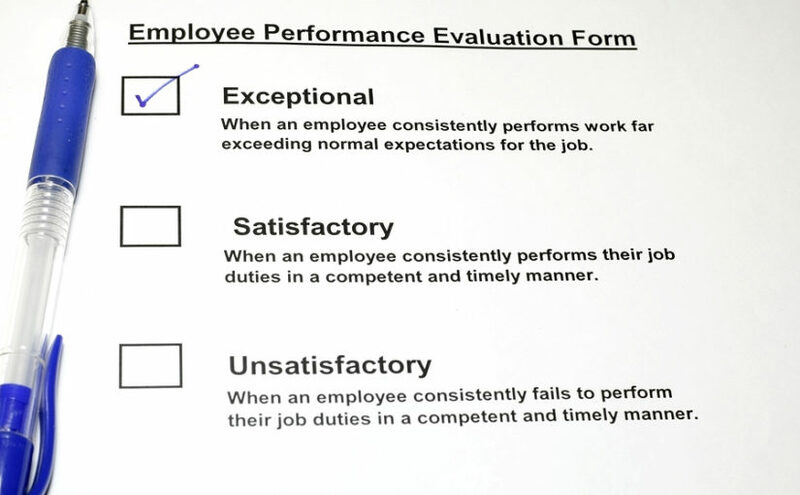 Poor performers often don’t meet expectations, good performers meet and occasionally exceed expectations, but great performers are those that consistently exceed expectations. These are the folks who deserve the greatest compensation awards. Do justice – Choose to do the right thing for the right reason. Love mercy – Because sin came into the world and ruined God’s perfect plan, none of us are capable of doing the right thing for the right reason all the time. Thus, we need to love mercy – showing compassion and forgiveness to others who wrong us; seeking compassion and mercy from God for the sins we’ve committed. Walk humbly with your God – Although redemption has been secured for us by Christ’s death, it is not granted to us unless we accept Jesus as Savior and Lord of our lives. As you reflect on your individual performance in 2018 against God’s expectations, how do you measure up? If you’re anything like me, I suspect you feel you could do better than you did. Take heart my friend, tomorrow is a new day. I spent about 30 minutes last night making a spreadsheet of my 11-year-old daughter’s extracurricular activities between now and the end of February to see if we there was any way we could fit one more activity in. She’d like to try volleyball, I’m just not sure if we can make it all work together. This seems to happen every year. We get to December and we’re running everywhere. So far this week we’ve been to diving practice, Orffcats, gymnastics, a parent volleyball meeting, a band/chorus concert, and a diving meet – the problem is it’s only TUESDAY night. I’m tired already. It isn’t inherently wrong that we are involved in a lot of activities. It provides our kids the opportunity to try new things, allows our family to connect with other people in our community, and gives us a chance to build lasting relationships. I wonder, however, if too many of them are keeping us from focusing on what is most important. Will you read and meditate on the words in 2 Peter 3:10-14 with me today? The second epistle of Peter was written to believers in Asia Minor to warn them about complacency and heresy. In our world that is filled with things other than the truth of Jesus Christ competing for our attention, it could have easily been written it to us. This section of the letter contains a couple fire and brimstone images about the coming destruction of the earth, but focus in on verses 11 and 14. These verses are about the here and now, how we are living through the ordinary, everyday activities of life. As I reflect on the past few weeks I wonder, am I making every effort to be the person I ought to be, making holy and godly choices? Am at peace with God? I wonder if the business of life is keeping me from focusing on living the life to which I’m called – spotless, blameless and at peace with him. And today is all you’ve got now. And today is all you’ll ever have.